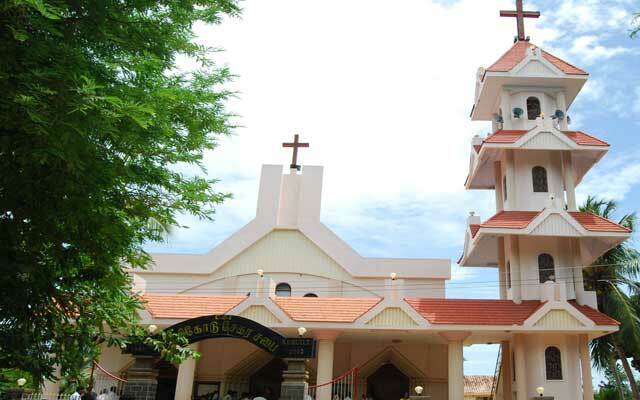 Devicode Church is one of the District Church in Church of South India of Kanyakumari Diocese, situated in Midalam Village, Vilavancode Taluk of Kanyakumari District, Tamilnadu, India. Before the construction of the church, the surroundings people did not know the Jesus and worshiped other idols. Rev.Charles Mead, the father of the South Travancore Mission and head of Neyoor District church came to Devicode in 1828 and made people know about Lord Jesus. 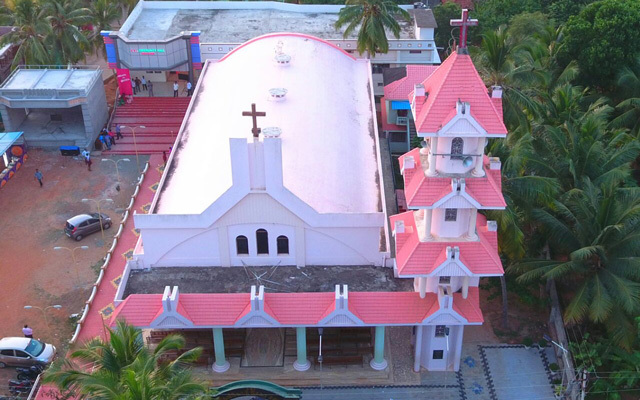 After lot of challenges faced by the missionaries, the Church was constructed in palm leaves by Rev.Charles Mead and Rev.Pelis Iyer. In 1893 the new church was built and the old church was destroyed by Rev.Issac Henry Hacker. Rev.Sinclair Iyer was the third missionary who arrived in 1929, when the mission house was constructed. Mr.T.Richard Nelson (Late), Church Secretary (1992-2006), who was a remarkable, dedicated his life for the construction of the new church. The inhabitants of Devicode came from Tirunelveli in the 16th century. The name Devicode derived from Devi, a Hindu Goddess. People believed that the Devi means “Power of everything”. Devicode was under Travancore region ruled by Travancore Royal Family. People are divided into two castes as higher caste and lower caste people. The lower caste people pushed to live in a hut, not get paid enough wages, higher rate of taxes, food, education besides medical facilities not provided. In 1828 Rev. Charles Mead was came to Devicode glittered the gospel to Devicode people. During the course Rev.Palis Iyer accompanied with Rev.Charles Mead to spread sermons of Jesus Christ. They faced many troubles preaching Gospel. Years of challenges faced by the missionaries a small Church was come to reality, the founder of the Devicode church Rev.Charles Mead had established a new church weaved by palm leaves. Rev.Isaac Henry Hacker, the second missionary to Devicode who was known for the construction of various churches came to Devicode in 1893 as missionary. In 1893, the old church was destroyed on account of build a new church. In those days a few families contributed for the construction of the church. The development of Devicode Church was made under the guidance of Rev. Isaac Henry Hacker. In 1918, a small school was built in the Church premises. The people of locale joined the school and gained knowledge. Mr.Samuel of Kotavilai, Mr.Nachatarum of Kuttiparavilai and Mr.Alfred of Kannavilai worked as teachers. During the initial stage of that school it was under the control of the church and later it was dedicated to government and now it is under the control of government. In 1929 Rev.Sinclair Iyer who was the third missionary to Devicode after Rev.Isaac Henry Hacker had arrived. Due to lack of transportation facility they have constructed a mission house in 1929. The hard work of the missionaries those days did a basement to a new church in Devicode. Mr.Visuvasam, Mr.Moses, Mr.Chellakan and Mrs.Kamalam of Devicode were joined hands with Rev.Sinclair Iyer and did the ministry for Jesus and they were show mercy and love with other religion people. Many people were accepted Jesus Christ as God and they frequently came to Church and worshiped Jesus. In 1939, Mr.Rajayah was appointed as first church worker in Devicode by Church of South India, Kanyakumari Diocese. During his service, many people were come under Jesus Christ. Mr.Rajayah, Mr.Rajakesari, Mr.Daniel Iyer, Mr.Pauliah, Mr.Abraham and Mr.John Jacob was appointed as Church Worker followed by Mr.Rajayah respectively. 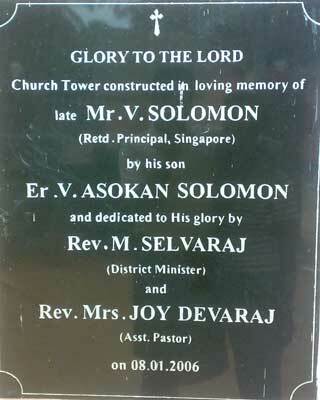 In 1957 during Mr.Rajayah’s period, with the help of Church members, the Church tower was built and a bell was placed with the help of Mr.Mathias family. The electrical system was installed with the help of Mr.Rajamani of Kannavilai. In 1961 with the financial help of Dr.Jekar, the Church compound wall was built. The church was developing so fast with in the circle of Neyyoor District Churches and the Devicode Church was declared as Pastorate Church. Under the circle of Devicode, Paloor, Kannanvilai, Vannanvilai, Kadamankuzhi, Parakanvilai, Kunchacode, Amsi, Mukkadu, Pottetti, etc. churches were functioning. From 1964 to 1966, Rev.K.C.Rosaliah was appointed as Pastor. During his service, the church needed an Assistant Pastor for preaching Jesus. Mr.John Jacob was appointed as Church Worker. Next to Rev.K.C.Rosaliah, Rev.R.N.Durai Raj was appointed as pastor. 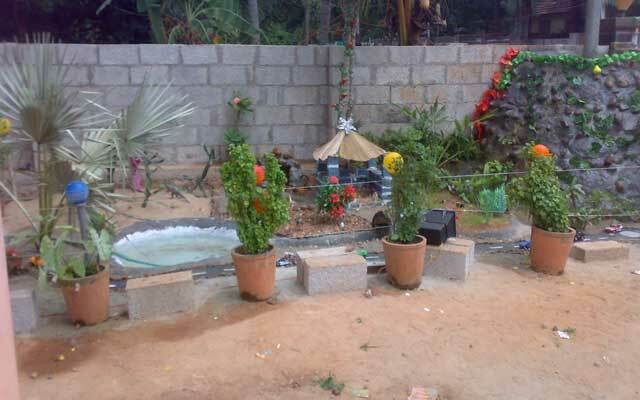 During his period, many Hindu people were live in Melmidalam and G.Muthiah donated 23 sent land freely at Koodavilai and a branch church of Devicode was established. From 1971 to 1976, Rev.S.P.Wilson was appointed as pastor and during his days, the church extension work was started. In 1971, noticing the poor children, a crush was started. In the initial stage it was conducted inside the Church premises. In 1988, a building was constructed in the mission land. Rev. Rethna Raj, (1976-1981) was appointed as pastor and during his days, in 1978, the Pastorate Church was promoted into District Church. Under the control of Devicode District Church, Pastorate Churches Parakanvilai and Theruvukadai and branch Churches Potteti, Ebenazapuram, Koodavilai, Visuvasa Nagar and H M S church at Zionparai were established. In 1982, Rev.Santhappan took charge as District Minister of the church and he continued his ministry. Unexpectedly he was died. After the death of Rev.Santhappan, Rev.Enose took charge and he worked from 1983 to 1987. He worked hard and the people were coming into the Jesus Christ. One account was started in Udayamarthandom Post Office because of the growth of income. 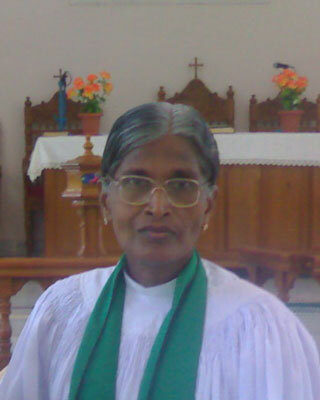 Next, Rev.Rethina Dhas took charge as a District Minister and during his days, one Gospel worker was sent by Rt.Rev. Christudhas, Bishop of Kanyakumari Diocese to the Mountain range for preaching the Gospel. During his service at Devicode, one matriculation was started, which was later cancelled. During the year 1989, Rev.Selvamany took charge as District Minister and Mr.Rethina Muthu was the assistant worker of the church. During his days, Arunothaya service was started. During his days, many poor people were got help. He worked upto 1993. Rev.Robinson worked as District Minister from 1993-1997. In 1995, new ministry was started in the village of Thozhicel. The pension method also started and seven poor persons got help. In 1994, August 14, Mathias Memorial Church was built at Aathipadi by the Devicode church in about 1¼ Rupees. Dr. M.R Morris sponsored the fund to the Mathias Memorial Church. In 1996, two mission houses were constructed at the cost of seven lakhs rupees. In 1996, January 07, Mrs.Rethina Bai Palayan was sent to Tahkkampet to preach the Gospel. Due to tireless working the church, people were increased and there is no enough space for the people to sitting in the church. 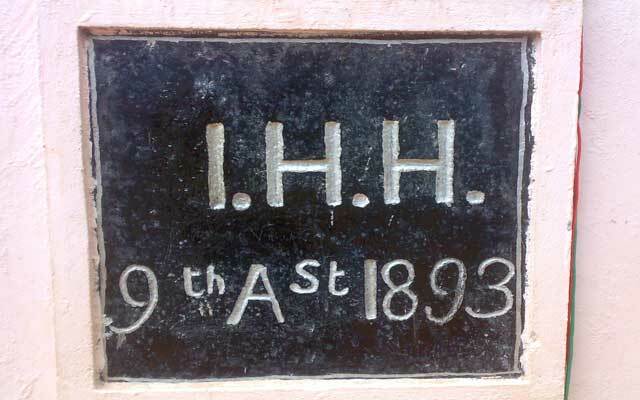 The foundation stone was laid for the new church by him during his service. Rev.M.Victor took charge as District Minister in 1997. He continued the mission work by constructing new church. During his days, very poor and needy people were got help. 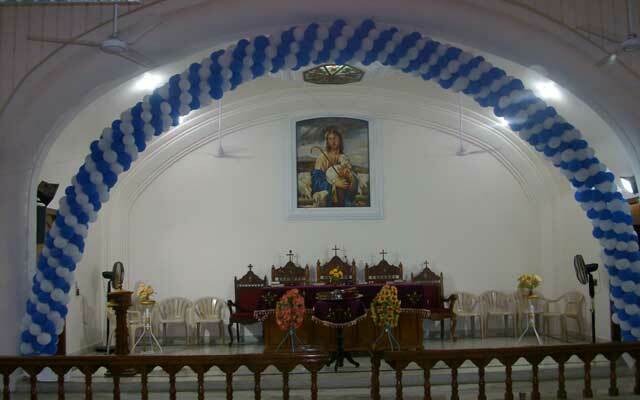 The newly church was dedicated on Sep 01, 2002 by Rt.Rev.G.Devakadacham. The new church space was exactly 5,500 Sq. ft, the Church Tower 75 feet and about 150 kgs bell was placed. The foundation including library, resting room, etc, in 800 sqft and the church altar covered 550 sq ft. The construction of the Church is a historical event which was completed in six years with 70 lakhs expense. The main personality who helped to build this Church was the former Pastors Rev.Y.Robinson and Rev.M.Victor and Mr.T.Richard Nelson, Church Secretary who did remarkable. The doors are done in architectural beauty, the concrete roof, electricity and painting works are mind blowing. In February, 2003, Rev.Joy Devaraj was nominated as Assistant District Pastor. She dedicated her service to the Devicode people. She served upto 2008. In 2003, Rev.H.Henry was appointed as District Minister. On May 01, 2003 the Kadamankuzhi church was joined with Devicode church as Pastorate church. Next Rev. Reginald Joseph took charge as District Minister in 2004. During his days, uncompleted works in the church were completed. He worked for one year upto 2005. In 2005, Rev. M. Selva Raj took charge as District Minister and dedicated his life for ministry. During his era, Christian Endeavor anniversary for Devicode District level and Youth Fellowship’s village Ministry in every month was commenced. The Church vestry and bell tower was constructed. On February 02, 2008, Rt.Rev.G.Devakadacham, Bishop of Kanniyakumari CSI Diocese laid the foundation stone for community hall and it was dedicated on February 28, 2010 by Rt.Rev.G.Devakadacham. He served upto February 2010. From March 2010 to April 2011 Rev.Robi Gana Dhas rendered his service as District Minister. In 2008, Rev.Beno A Enose appointed as Assistant Pastor and he was completed his tenure on April 30, 2013. In 2011, Rev.G.N.Raja Kumar took charge as District Minister and continued his mission work at there up to April 2016. Mr. P.Thankaraj took charge on 1st May 2013 as Evangelist. The Moderator of Church of South India and Bishop of Kanyakumari Diocese, The Most Rev. Dr.G.Devakadasham has given ordination to him along with thirteen other Church workers at the Holy Ordination service of CSI Kanyakumari Diocese held on June 02, 2013 at Home Church, Nagercoil. The moderator was preaching the sermon at the commissioning of 14 probationers. He celebrated his Ist Service at Devicode Church and preached the sermon on June 03, 2013. He continued his mission work upto April 2014. In May 2016, Rev. Y. David Gunamony took charge as District Minister and he continuing his mission work. 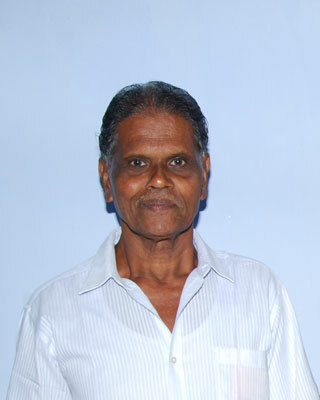 Rev.S.John Franklin Raj, Assistant Pastor joined on May 01, 2014 and continuing his mission work. The impact of the native missionaries and LMS Missionaries in Devicode brought significant changes in Devicode. 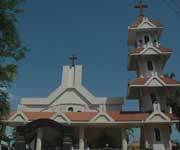 Devicode Church is one of the biggest in South Tamilnadu. I am from Devicode, I red the above story. Geo was right.